The Horror Movie BBQ: The Paperboy Delivers! 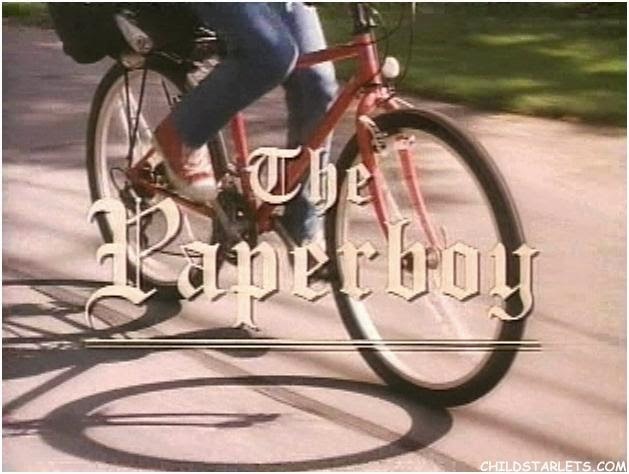 If you were around in the mid-90s and watched cable television at any point in time, you'll recall the movie The Paperboy. It's a movie that revolved around a 12 year old paperboy, Johnny McFarley (played by young Canadian actor Marc Marut) who falls in love with his former neighbor(played by Baywatch babe Alexandra Paul. Good taste, Johnny!) and essentially, after being turned down and told she didn't want him around, he loses it and practically goes on a neighborhood-wide killing spree. So, I know what you're thinking. That's it? Yeah, pretty much. But, the first time I saw it in 1996, I was pretty entertained. It wasn't the biggest budgeted, didn't have the biggest stars, but everyone seems like they were putting out their best and it was actually pretty entertaining. While I've heard others write it off as a bad Lifetime movie, it's been a movie that I've been watching close to 20 years now and a movie I can still watch and enjoy. There's a lot of clever deaths, including Mrs Rosemont's death in which she has a heart attack watching Johnny supposedly beating her dog to death(Surprise, he was beating a bag of ribs and sauce.). And honestly, the story makes sense if you think about it. The kid was very, very imbalanced and Marc Marut played it well. It was a pretty fun movie that should be watched at least once. The only thing that saddens me as a fan is the fact that it hasn't been released on DVD or BluRay. And at this point, I have doubts it will be. But thanks to VHSPS, I have a special copy on my shelf. Johnny, played by Marc Marut. 1994. Coincidentally, this year celebrates it's 20th anniversary. Who knew! 20 years later and it's still one of my go-to movies when I need something to watch in a marathon or cleaning the house or just want to enjoy something. So, after months of trying to figure out how to celebrate properly, I snooped around and discovered Marc Marut on Facebook and decided to reach out and HOPE to get an interview. Apparently, Marc doesn't get on FB very often, so I was worried he wouldn't get it in time or just have no interest. Thankfully, a short while passed and I got a response from him saying he'd be happy to participate in a quick interview. Horror Movie BBQ: So, how did you get involved in Paperboy? 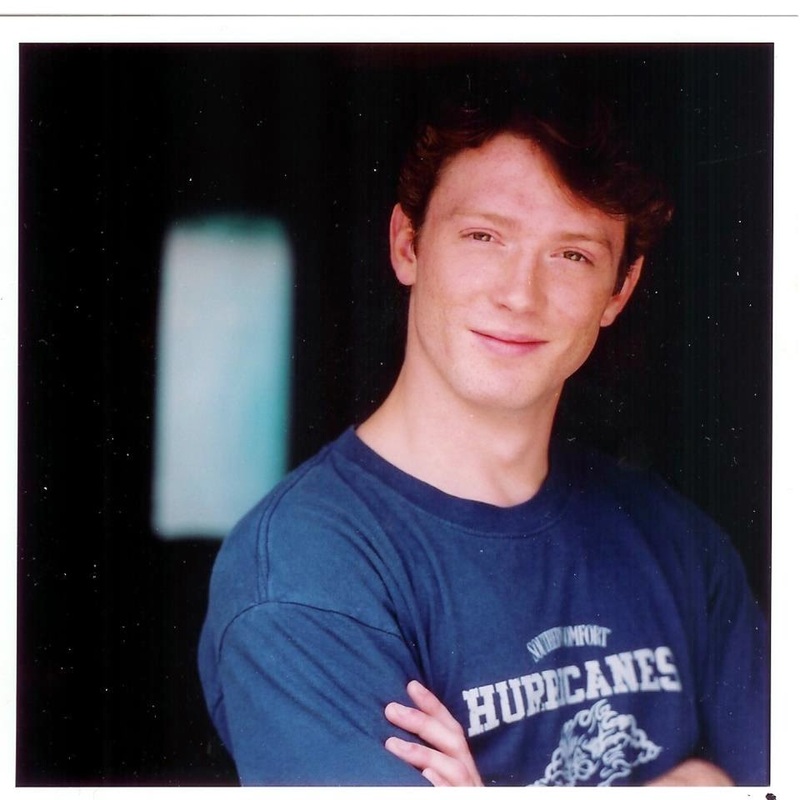 Marc Marut(Star of the Paperboy): Anne Tait (who I knew from Road to Avonlea) was the Toronto casting director, and she called me in to audition for the role of Johnny McFarley. Doug Jackson was there, and it was great to meet him - it's always nice to audition with the director present. Everything went well, and I couldn't help but feel I had got the role as soon as I walked out of the room... I guess my instincts were right. BBQ: How were Frances Bay, William Katt and Alexandra Paul? MM: Frances Bay was a complete sweetheart, rest her soul. She did a great job playing a witch of an old lady, but in real life she was the most pleasant person to deal with. I never really saw much of William Katt - he spent most of his time in his trailer, but when he was on set he was pleasant enough to work with. Alexandra Paul is absolutely fantastic, and we had a lot of fun together! You couldn't find a nicer woman. BBQ: I met William Katt years ago and discussed the Paperboy and he recalled how cold it was during filming. Did that cause any problems? MM: It may have felt cold to someone from California, but to me it felt like a typical Montréal summer... I was wearing a t-shirt. BBQ: Was there any room for improvising and were you comfortable enough to improvise on your own? Not a bad choice, Johnny! BBQ: Your character of Johnny was obsessed with Melissa Thrope but I have to assume it was easy to fall in love Alexandra Paul? BBQ: What was your relationship with the older cast as opposed to the younger cast? MM: There was really no difference, we all treated each other as equals. It was a good set to work on. BBQ: Did everyone get along on set or were there any conflicts due to age and experience? BBQ: Paperboy didn't get the best promotion when it hit movie stores. Was there any promo items that were given out or any promotion on the part of the cast? MM: If I recall, the movie was mostly intended for TV (HBO) so we didn't do a lot of promotion and it only had a short run in the cinemas. Because I was 14 at the time and it was rated R, I actually wasn't even allowed to see my own film in theaters... even though I really wanted to just randomly show up at screenings and freak out the audience! Oh well. BBQ: Did you keep any mementos? Perhaps the golf club you took down your own father? MM: I actually didn't keep any mementos from the shoot, but it's funny you mention the golf club - Barry Flatman is a real trouper! The golf club in the movie was a retractable putter, the shaft being made up of three sections held together only by an elastic string in the middle. When we shot that scene the stunt coordinator had already been sent home, and it didn't occur to any of us NOT to use the retractable putter... sure enough, when I swung the club hard the string snapped, sending the club head flying right into Barry's hand! Despite having two broken knuckles, he insisted on finishing the scene before going to the hospital. I felt really bad, but fortunately there were no hard feelings. We ran into each other a few years later and had a good laugh about it! BBQ: Has it ever bothered you we never got a proper dvd release? MM: Not really, after all I think it's up on youtube now. It's so cool how these days you can just watch it on your phone if you want to. BBQ: Did you get a lot of attention after the movie was released and offers? MM: I was really busy with work at that time, so if it did get me extra attention I honestly didn't notice. I also started shooting TekWar that summer, which is sort of funny because Brigid's brother Jacob and I became good friends. 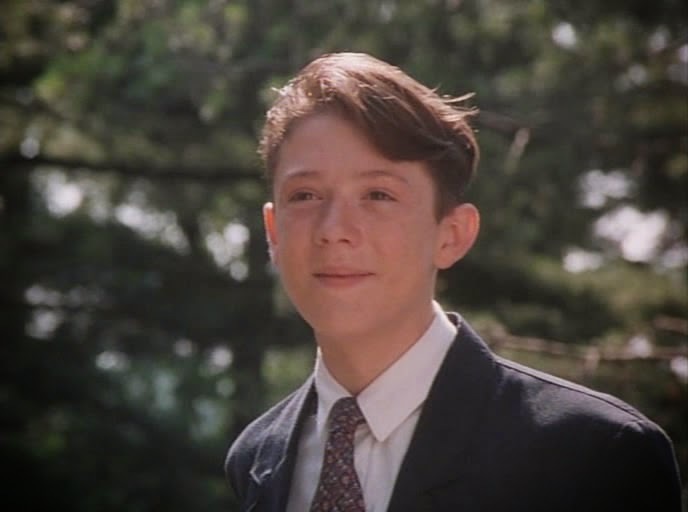 We later got to work together when he played the kid lawyer Eugene Leopold in TekJustice. BBQ:Was the movie a bigger success upon it's video release or afterwards when it was shown on USA Network? MM: I honestly couldn't tell you since I wasn't responsible for any of the distribution of the film. Sorry. BBQ:How do you feel about your role in The Paperboy? MM:Everyone's their own worst critic, but overall I'm proud of my performance as Johnny McFarley. I got to reach deep down and embrace my inner psycho - kind of a dream job! Thanks to Marc Marut for his assistance in this entry. The pleasure was all mine! For more info on Marc and his career, you can visit his site by going here. This post is really informative to all kind of people. I am very happy to see the post. I will request you to give more information about this. I have gotten many knowledgably speech form here. I have also website where you can get some knowledge which may be for your welfare. Visit here…..